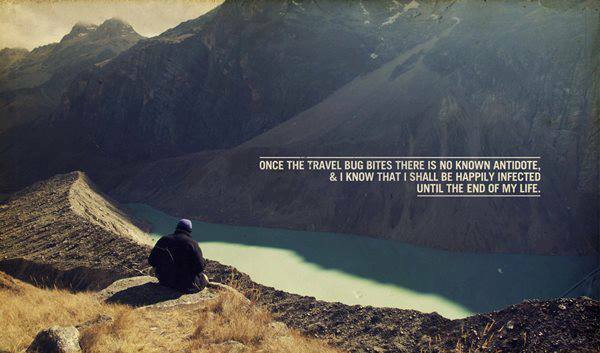 Food for Thought: Have you been bitten by the Travel Bug? This quote made me both smile and frown this morning. Here is to our upcoming adventures! Yes, me too Kit, I hear you. I’m always finding ways to feed the bug so that I have quality of life, and don’t constantly talk regret like so many people. You seem to be one that is sucking the marrow out of life in the right ways though so cheers to you for that! Travel bug hit me big time, double hard when our kids left for college. Just returned from China! On our way to Napa. Where are you off to next? That’s wonderful Julia! Just Charleston, but I live it there. Napa is wonderful-it’s so lofty, like you’re swimming in a novel that isn’t your life. Love the wine of course-enjoy! Yes! I’m going there for work, but am going to play too! would love to hear more a out China-that must have been amazing! By eating only freshly picked up fruits on the path for 3 full days without going buying food. Once you have tasted to freedom… Once a man is standing up and walking… he can’t be chained, enslaved, overcame anymore.